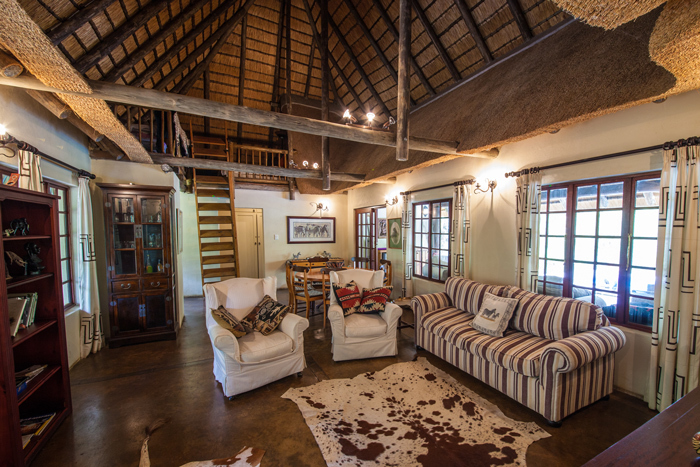 Feeling very Thelma and Louise, a friend and I had set off from Durban for a two-night stay at the stunning Rhino River Lodge in Zululand. 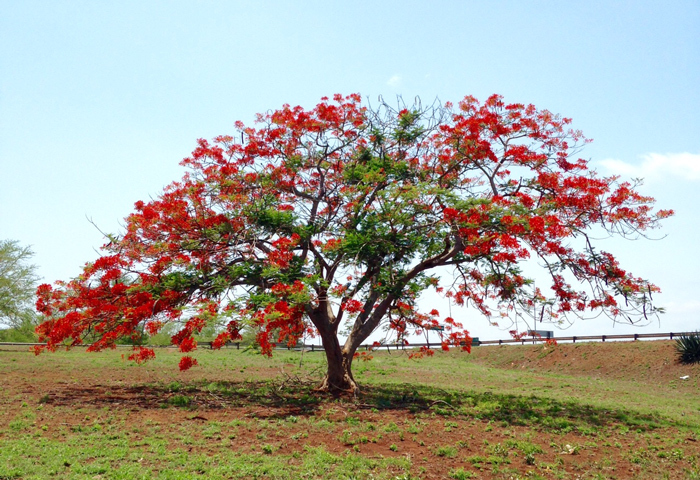 The drive down was a piece of cake as we stopped to buy pineapples and Zulu beads along the way, admiring Zululand’s signature Nguni cows and coral trees. 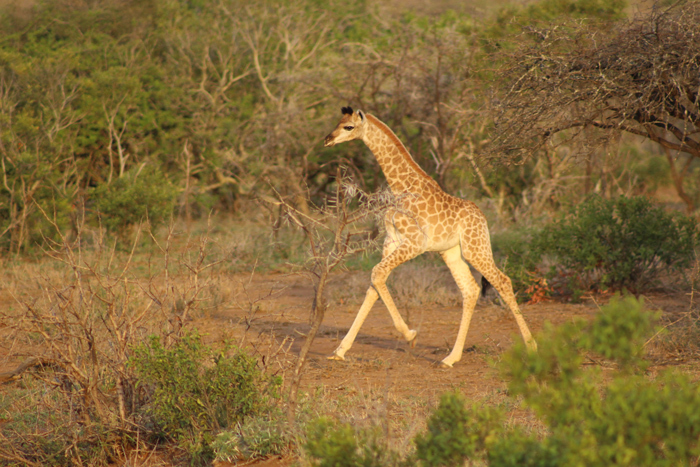 Kwa-Zulu Natal is arguably the best place to spot black rhino and we also saw loads of giraffes, cheetah and the rest of the Big 5. But one particular animal stole the show. 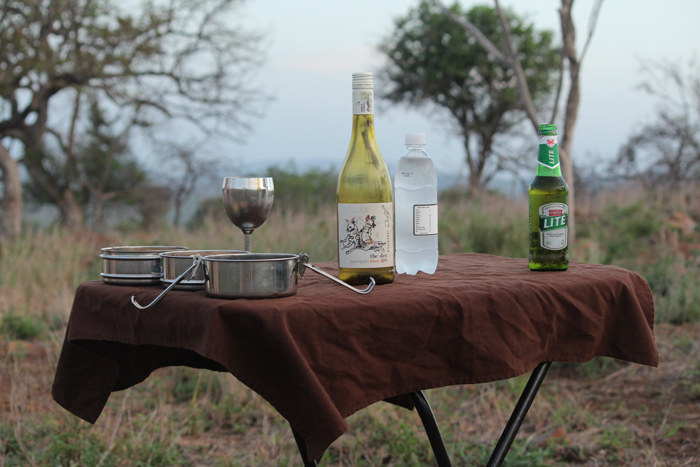 After a sundowner sipping on Painted Wolf Wines, we went to bed early in preparation for our 3:30am wake up call. Not long after we set off, we found the dogs with one impala at 6.15am, an impala lamb at 7am and a juvenile nyala at 8.30am. 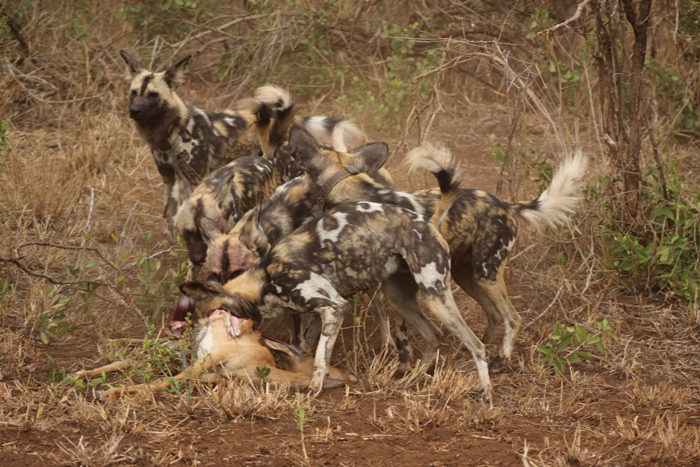 The wild dogs had made three successful kills – all before our morning cup of coffee! The Zululand Rhino Reserve pack is made up of six individuals: two males from neighbouring Zimanga and four females that were originally from Madikwe. 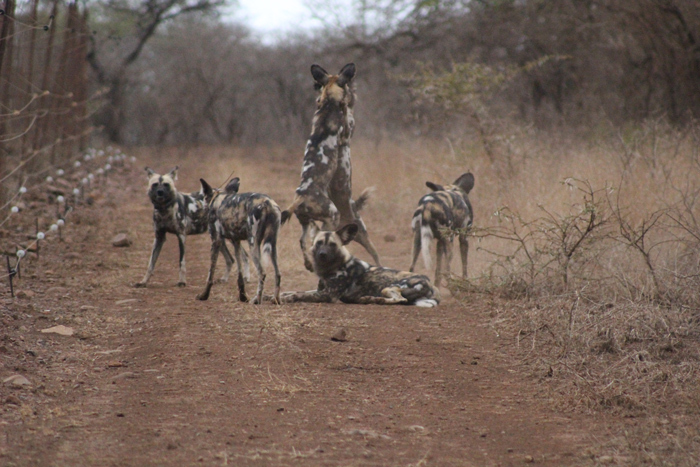 These happy dogs are six of 500 wild dogs in the country that form part of a larger conservation plan with Wild Dogs Advisory Group (WAG). We followed the dogs as they played, ran, lay down, licked each other and played some more. The dogs chased warthogs out of a hole, setting off a green wood hoopoe which in isiZulu is called iNhlekabafzi, meaning ‘cackling women’. isiZulu has the most beautiful way of describing animals. As we followed the dogs down the fence-line we spotted iconic black and white Nguni cows on the other side – referred to as inasenezimbukane, meaning ‘flies in the buttermilk’. 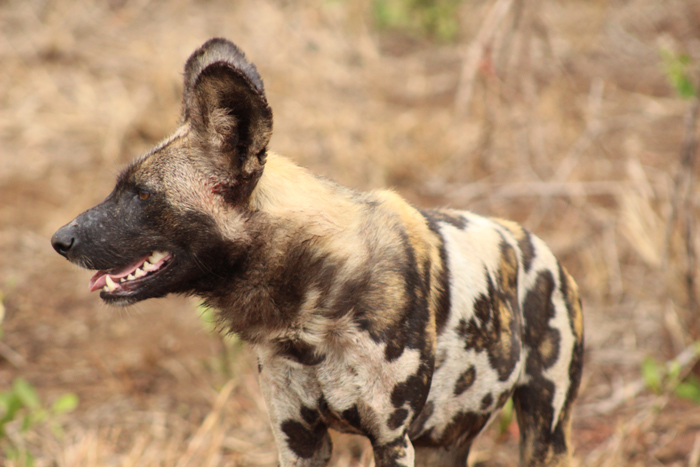 When it comes to wild dogs, good fences make happy neighbours, and there is 200km of fence that surrounds Zululand Rhino Reserve. 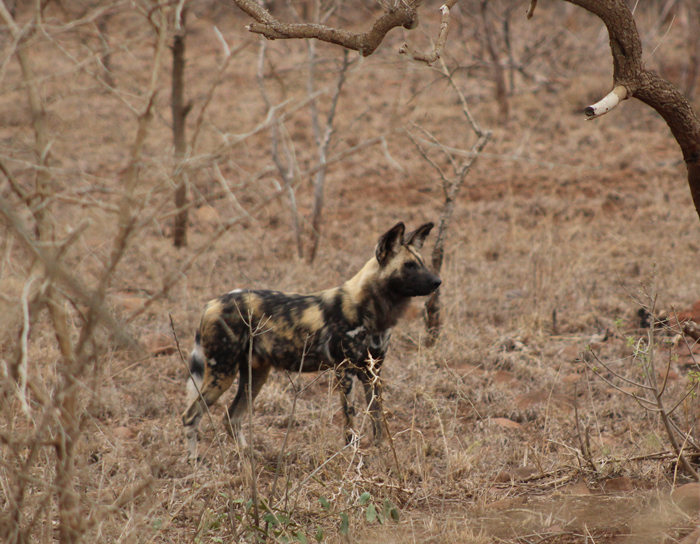 Wild dogs are boundary pushers and come in contact with fences often because they cover such extensive ranges so quickly. After speaking to Sam and her team at Wildlife ACT, I quickly got to understand the group dynamics and even began to recognise individual dog’s characters and markings. Over time the volunteers have come to unofficially name the dogs, and if you spend so much time with these magnificent creatures, like Wildlife ACT does, it’s hard not get attached to them. Male 1 is the first to flop to the floor and have a cat nap, hence his nickname ‘Floppy’. Floppy is the low ranking dog and the last to eat at meals based on the pecking order. However, despite his languid nature, Floppy is very curious and is the first to run off to investigate something interesting. Male 2 is the alpha referred to as ‘Endo’ because he likes to stand on his two front paws and lift both of his back legs when he piddles. This makes him look like he is popping a wheelie – hence the biking reference. Female 1-If ever there were an eighth dwarf, Bossy would be it. 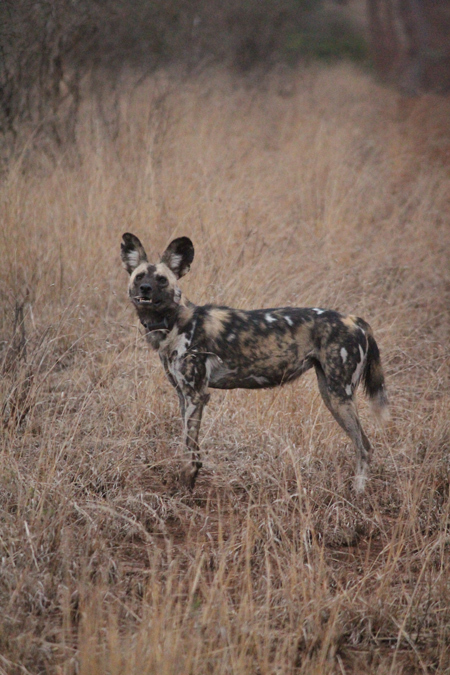 Bossy was the original alpha female when the dogs were released and she is most likely to initiate kills and plan the route that the dogs are taking. 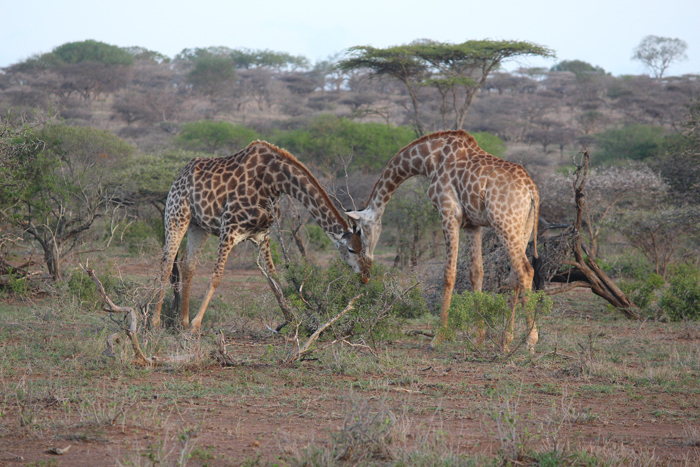 She had an incident with a snare but has fully recovered with the help of Wildlife ACT and reserve management. 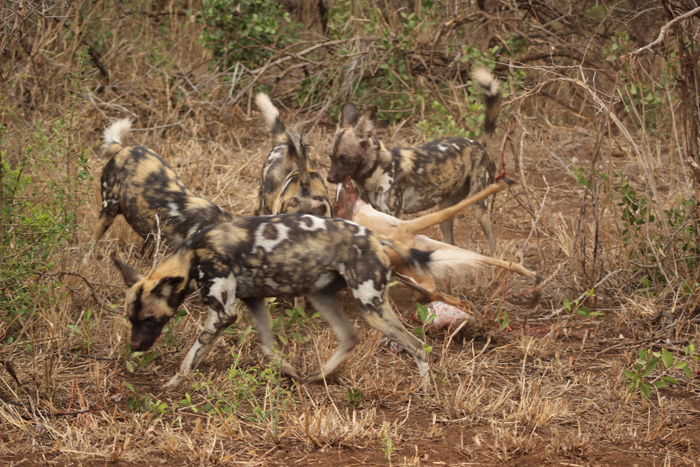 Snares are one of the biggest threats to dogs in Africa. 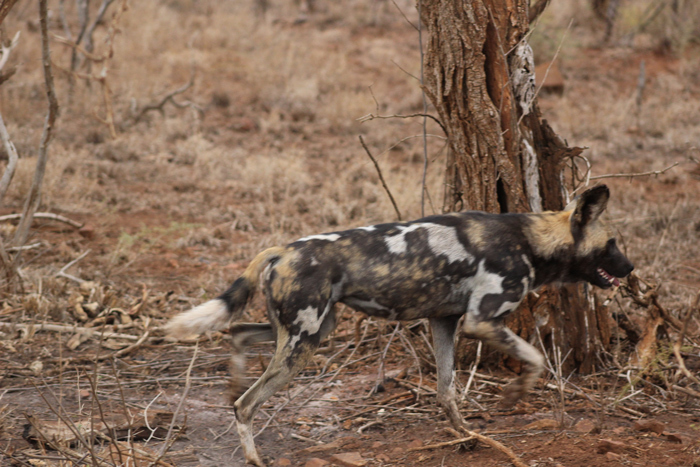 Although not normally intended to catch painted wolves, the dog often fall victim to snares. 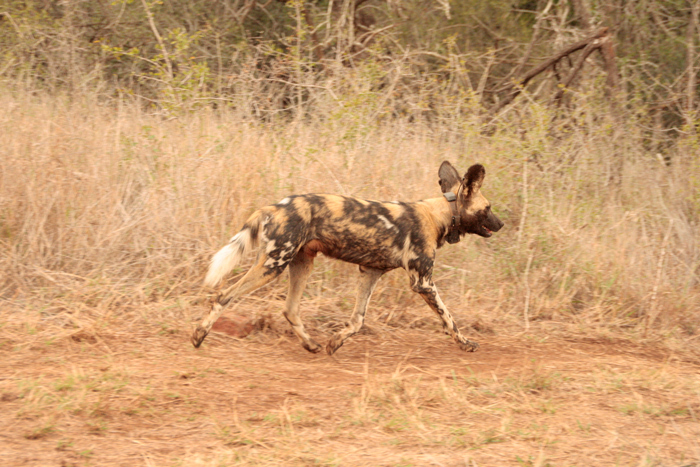 Female 2 is the pack’s wild child. Named after the ‘Notch’ in her ear, she is most likely to be reported missing as she wanders off alone following her nose. Female 3-Indie is the alpha female and her name was mapped out for her by her coat that forms a map of the Indonesian Islands. She is incredibly brave. Female 4-Eggs is named after the two fried-egg markings on her back and she offers some comic relief for the group. She is bullied a bit but generally just tends to keep her nose out of trouble and blends in. The dogs eventually settled down in the shade to sleep off their full bellies and in the midday heat we headed back to camp. 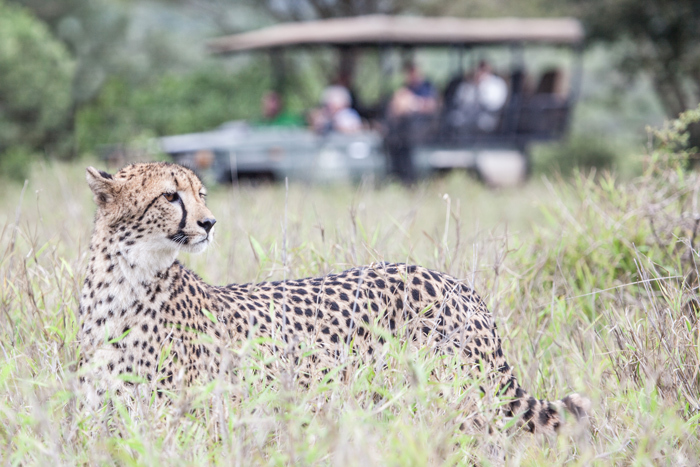 Having spent the entire morning in hot pursuit of the African wild dog, we arrived at Rhino River Lodge exhausted and dusty and were more than happy to tuck into a delicious brunch and to work on our tans by the pool.